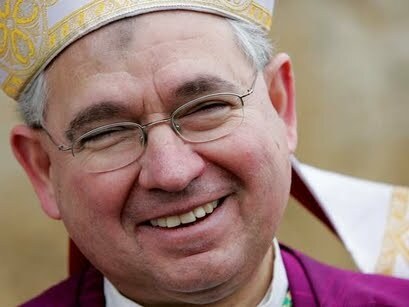 Archbishop Jose Gomez, the new archbishop of Los Angelos, gave his first Sunday homily yesterday, and it is wonderful. H/T Rocco Palmo of Whispers In The Loggia. “The readings today from the Word of God are all about Catholic identity and Christian mission. They are about who God made us to be, and what he wants us to do. Do take the time to read the homily (scroll down the post). It is worth your time. This entry was posted in Catholic, Homily and tagged archbishop Gomez. Bookmark the permalink.